The White House and its religious and oil industry backers pin big hopes on a tiny Christian sect in war-ravaged Iraq. Paris-based journalist Sam Preston is the only reporter to dig deep into the mysteries surrounding the explosion that leveled a church belonging to the tiny Assyrian Christian congregation on the Rue Galande. Preston is a recovering alcoholic with great writing skills and years of useful experience covering France, which he loves. His story gets the attention of Rafat Ganjibar, the obese and grandiose self-styled leader of the Assyrians, who summons the reporter to let him know of the Assyrian hope to declare an independent state for the religious minority in Iraq. 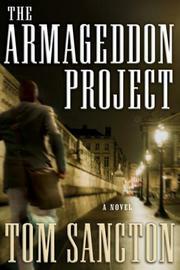 Preston doesn’t know what to make of the creepy Ganjibar, nor does he know how seriously to take the offer of his French colleague Charles Dumond to include him in the investigation of some shady arms dealing that involves a disgraced resistance hero who was once the friend of the current French president. As it turns out, the arms dealing leads back to the Assyrians. And so does Princess Tawana, an American gospel singer with a French band whose breakout hit is based on her firm belief in the prophecies laid out in the Book of Revelation. The Assyrians, Princess Tawana and the arms dealers all have ties to the administration of U.S. President Jack Ritter, who, if he weren’t so short and weren’t from New Mexico, would be a dead ringer for G. W. Bush. President Ritter, taking his marching orders from his evil vice president, whose former employer would be a dead ringer for Halliburton if the oil-exploiting conglomerate weren’t so huge and cynical, is in the grip of evangelical Christians. Those Christians, like Princess Tawana, are buckling down for Armageddon, an event they await with pleasure. Clunky writing and a rabidly partisan view hobble the thrills, but not fatally.